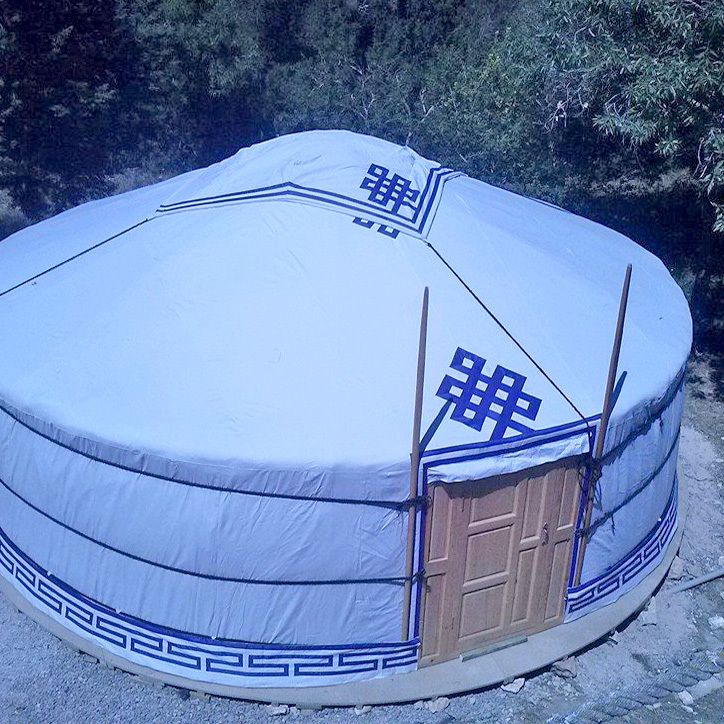 We have more than 15 years experience in handmade construction and distribution of nomadic textile structures. 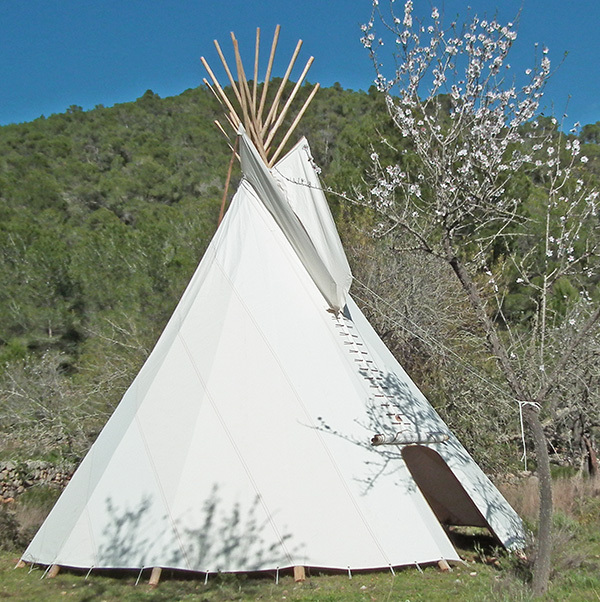 Nomadic shelters to live in Nature, during all the year! The house of felt. A very cozy circular house. A big traditional structure, special for group meetings. Size: 5,5 mts diameter – 25 sqm. Size: 7 mts diameter – 40 sqm. Size: 8 mts diameter – 50 sqm. Sizes: 100 x 45 x 70 cm. Sizes: 49 x 44 x 141 cm. Condition: Semi new, in very good conditions! 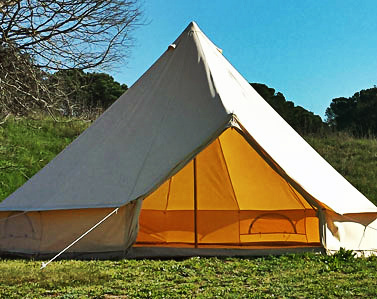 Size: 6,70 mts de diameter – 35 sqm. Size: 6 mts de diameter – 27 sqm. 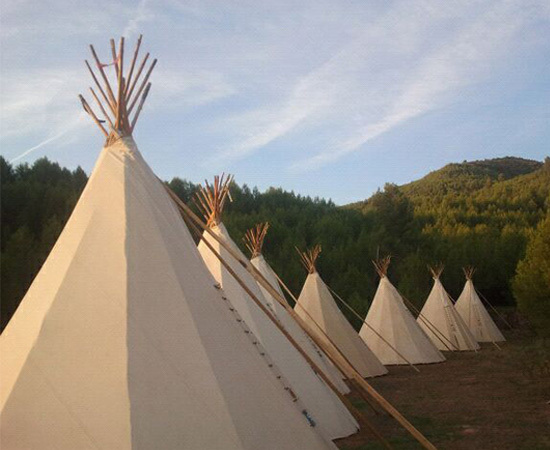 We set up complete equiped tipis and tents to offer acommodation service for festivals and private events. -From 10 tents to giants camps.